Suree’s Kitchen Pop-up. No.9, Wharfeage. Ironbridge. December 2019. 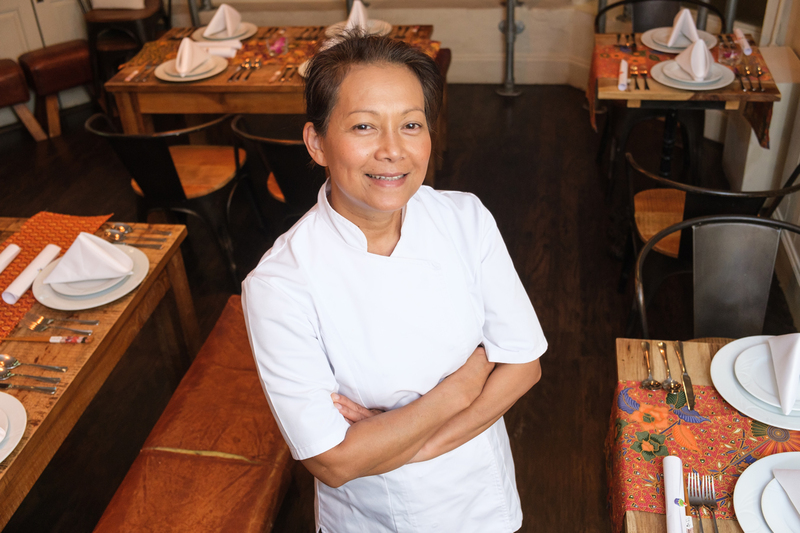 Showcasing Chef Suree’s creative innovations across all spectrums of modern Thai cuisine, often influenced by other dishes and ingredients from around the World gleamed from her extensive travels to Europe, and more recently her home in Thailand, from where she moved over 30 years ago. A La carte. Starters from £6.95. Mains from £14.95. Desserts from £6.00 per person. Including Suree’s Sweet Sharing Selection. Daily menus are accessible, innovative and exploratory. Incorporating Suree’s multi award winning flavours of the Thai regions, underpinned with quality seasonal local ingredients and authentic fresh herbs and hand ground spices to challenge the palate and lift the senses. See below. Saturday Nights: £25 pre-payment deposit to secure your place below. Pre-payments reduced off final bill. This is a GourmetXperience eXclusive product. Deposit priced for ONE person. For multiple requests, select drop down. MAX table size 6. min 2. LIMITED AVAILABILITY: Max 14 covers per night! Bookings: Due to the intimacy of this venue, with only 14 covers at any one time, bookings available at staged 30 minute timings from 6.30-8.30. Dining is expected to be up to two hours per booking, with max 6 to a table. £25 per person Pre-payment deposit is requested to secure your table. This will secure your table booking and deducted from your final bill. Full service drinks available via the experienced team supplied direct to No.9 from the White Hart Inn bar. Payable with any additional spend on the night. Any extras paid prior to departure.